We’re delighted you’ve decided to join Hypnotherapy Marketing Services and our family of searchable Hypnotherapy and NLP Directories with their SEO enhanced geo-location feature. We’re pleased to offer you a FREE Basic listing and Premium Listings at a special introductory price for your practice with a link to your website on any of our Industry & practice specific Directories. To list your practice on any of our directories, simply choose which of our powerful directories you want to list your practice on. You can choose as many as you want. We recommend you list your practice on as many directories as match the services you offer as each listing increases your visibility on the internet while improving your own website’s ranking on Google and other search engines. Just follow the “List Your Practice” tab and enter your practice information. We don’t require a credit card from you to list your practice and these listings are permanent. As soon as it’s approved your listing will appear on the Directory. That’s all you need to do to get your free listing. Here are the directories you can list on now. While you’re adding your listings, consider upgrading your listings to our Premium Listing and take advantage of all the powerful online marketing features our Directories offer, today you can save 66% off our standard fee with our special introductory price of only $5.00 per month per directory. Other directories are charging up to $29.95 per month for less. THIS IS “FOREVER PRICING”. WHILE OUR PRICES WILL BE RISING SOON, IF YOU SUBSCRIBE NOW, WE WILL NEVER RAISE YOUR SUBSCRIPTION PRICE. With our Premium listing you can add a full page description of your Practice, your picture along with pictures of your office and you can include your hours of operation. You’ll also become a registered author on the site so you can post articles about Hypnotherapy, NLP and your practice. These articles will promote your site to visitors and search engines even further You’ll also be enabling our authentic Customer Review system to further enhance your listing and it’s appeal to search engines and potential clients visiting your site. SPECIAL OFFER: When you list your practice on at least 3 of our Directories you become entitled to a free WordPress website for your practice hosted on our HappinessNowHypnotherapy directory at no additional charge so long as you maintain your listings on at least three of our Directories. LIST YOUR HYPNOTHERAPY AND NLP PRACTICE TODAY. 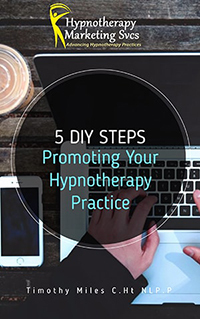 In addition to our Hypnotherapy Directories, we also offer these additional services upon request. Contact us to discuss your individual needs, we’re happy to review your practice and make recommendations.